Check out the latest NBA Live 19 screenshots, featuring Kevin Durant, Joel Embiid, Russell Westbrook, DeMar DeRozan and DeMarcus Cousins. These were provided by @DGthe3rd and @GoodGameBro. Those are insane.. but wondering will this be the look in-game as well and not just in blacktop mod? Hi poke, I remind you that you were on nba2k, now you've switched to live nba? how do you find it? Seriously loving the textures in these screens. Now we need to see them in stadium lighting and in actual gameplay. 1. The arm holes in the jerseys are still a little too big. The look good in the Embiid screen, but on everyone else, they're too wide. The necklines look much better though. 2. Embiid's shoulders could be a little wider. 3. 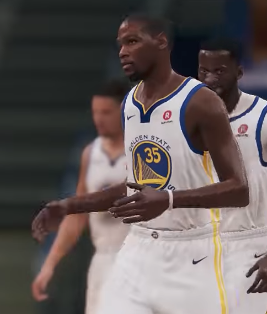 I mentioned this in the SF Ratings thread, but Durant's neck is a little too long and skinny. 4. Westbrook's face looks fantastic, but his body is a little too small. He's pretty buff in the upper body, and this screen makes his head look too big for his body. I don't really have any complaints with the DeRozan screenshot. You a cold piece WTF lol. This is fantastic. Feed Us More. I'm looking forward to seeing more WNBA screenshots too! Faces/skin textures look fantastic but bodies look a little off. It seems as if EA puts the majority of their efforts into the faces when it comes to the players and it shows.. I always loved how Lives graphics look rendered. I really hope that next year is the year that Live comes back to PC as well. These screens look crazy good. the art direction I wanted in a basketball game instead of the overly smooth look in 2k. I barely noticed a difference from the 5 v 5 videos though. Awesome graphics. Hope I can use a just as positive adjective to describe "franchise" when we get a hold of the whole game. Graphics look incredible on these screenshots but I can’t say I’m not worried about if these graphics will look the same under the arena lighting. I have a feeling that it will look like what we’ve already seen from ea play footage though. They really need to remove the orangish/red filters on the skin tones and have them look more similar to this. Maybe the devs have cracked the code since ea play? I didn't switch. I still play 2K. I also played live last year as well. Hoping for two good but different experiences. The faces look AMAZING, but bodies need a bit of work. Are bodies final, or are they still being worked on? 2K graphics looking cartoonish compared to these. But what is up with the narrow shoulders lol? Can we get a Kawhi screen......Steve/WTF......feed the hunger boys! I doubt those are in game. EA is notorious for this. They don't even look like they are in an arena. Also, the graphics can be great but if they still move all jerky and robotic then it doesn't matter. I can confirm it's in game. It's in the practice/tutorial arena. There's a video of Vince Carter, Shaq and Iverson in there. Not hating because the faces do look good as shown, but not so fast either. Unless there were some major updates done since EA play I call this bait and switch. Showing half the bodies to hide something or are they trying to one up 2K? I can't post the original PNG from nlsc but as you see those two pics don't add up. Another completely laughable thing is KD and PJ Tucker having the same body type. I'm very cautious with EA after the trick they pulled at E3 years ago with Kyrie. Actual in game footage lol. Was this from video that was shot with someone's phone or uploaded with poor quality? Yes i did say them trying to 1 up 2K with the cropped photos. These are in game player models. I'll vouch for that much. I said back when those other pics released, they shouldn't have allowed it, as they were a VERY poor representation of the actual graphics. They do this every year, allowing someone to put something out, or even releasing a demo or full version without the day 1 patch which contains a ton of the faces. Shoot self in foot. These are in game, but zoomed way in of course. You all would be crazy surprised at how much lighting tweaks can alter a games visuals. I've seen a 1 day difference go from crazy realistic to nearly cell shaded, and vice versa. And generally speaking, the alpha version doesn't contain the updated visuals. Usually the animations and Gameplay tweaks, then add the art elements w new player models, and after everything is tweaked and optimized, you find out how much resources are left for lighting. EA is light years away from 2k. The best graphics in the series so far. I thought KD's was a real photo yesterday before I realized it was for this game. 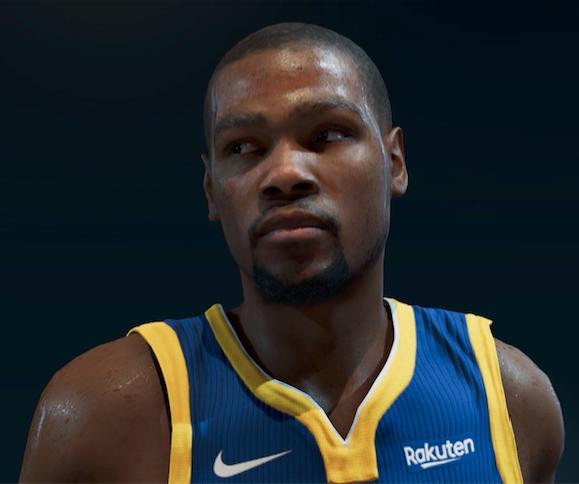 That Durant in-game looks VASTLY different than the one in the OP. I'll take your word for it since I know you are on the inside. Not buying those are in-game graphics. The KD and Westbrook models would be all time great sports video game cgi. Let’s see how they look in-game. Any chance they updated the female models? Because some of them look really bad. looks like the same model. Definitely updated a little bit. At the very least, the new screens have improved the jersey fit. The neckline fits much better than the other screens you posted. It is not. It was already confirmed that 19 will not be on PC, but it hasn't been ruled out for the future yet. Yeah it looks like the same model a bit updated, the hands and fingers could use a bit of work. They don't look realistic. The skin textures look amazing, but I'm not a fan of the body types everyone seems to have a thick-muscular build to them. 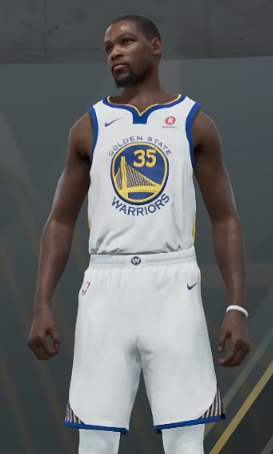 The player models don't look as good in an arena with actual lighting compared to how they look in that improved practice court from Live 14. The practice court from Live 14 also had phenomenal lighting with a black background. Who needs the Frostbite engine! It can wait! Same lol. I was hoping with Madden being on PC this year that Live would be as well. But the hope is still there for next year. Now for the record lighting is wayyyyy off. The shadowing looks good because it's dark as night in these pics. I don't think it will look as defined in game. Each pic looks like they're at t by e Rucker. And I'm still trying to understand why the legends are nonexistent. True Story: I met a dude at the airport like 3 years ago who worked for nba live. He was boasting about some new face scanning tech they had that was going to “blow 2k’s out of the water”. I was always like whatever, but maybe this was the end product he was talking about. Looks great (though the DeRozan one is my least favorite). If EA can pull this off and give us player models like in these screenshots watch out!!! Hmmm. I think I'm gonna buy Live this year. Desperately hoping Live comes through this year. I love 2k no doubt but I grew up on Live. Come on boys! Those screenshots are dapper! God, please give NBA Live 19 a good deep franchise. I'm not asking to be blown out of the water this year with 2K type stuff. Just a good deep franchise. Again, doesn't have to be 2K deep this year since 2K has had a lot more time. Just a good deep franchise to make this game last every single day until NBA Live 20. Which is where I'd ask for a VERY deep franchise. The graphics look way too beautiful to not be a game that's played 365 days. 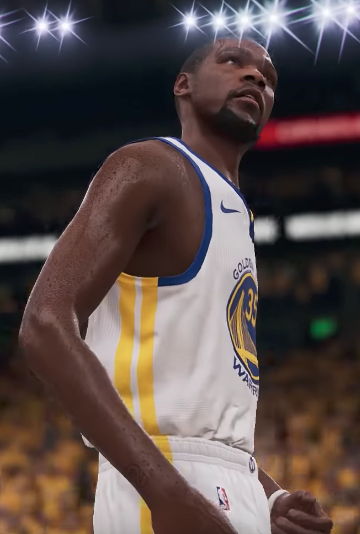 NBA Live 19 for the first year takes the crown without a doubt against NBA 2K19 in the player model department. NBA 2K scans are pretty dead on, but the player models are far too cartoonish. 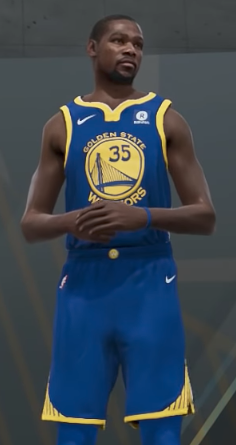 NBA Live 19 player models took such a massive step this year and look dead on as well, WITHOUT a cartoonish look. Truly completely blows my mind how good the player models look this year in NBA Live 19. Especially, compared to last year (NBA Live 18). It looks like a completely different game. That's not even close to an exaggeration. Player models look much more legit than NBA 2K this year. Speaking of the art department, I really hope NBA Live 19 has close to the amount of variety 2K has in the jersey department. Though, from my understanding it might have to do with a licensing deal or an issue of some sorts? At least, from what I've heard. If that's not the case, I hope NBA Live 19 put in a much more diverse choice of jerseys. If not, then it's gotta happen in NBA Live 20. Playing with the same few jerseys for 82 games is a disappointment when you factor in the huge graphical leap they took. Last and definitely not least, PLEASE give us the file sharing (roster, sliders, etc.) Madden 19 gives us. Obviously, of course add in things exclusive to basketball. Shoes definitely comes to mind. Enough said. Also include a WNBA franchise mode. The 2018 rookie class is the perfect starting point for a franchise so including that in Live 19 would make me happy for life in the video game department. So many teams are turning the page and starting new eras this season (Indiana, Chicago, Las Vegas) that literally this season would be perfect to start a franchise. Teams like Indiana, and Chicago are going back to the lottery for the next draft too but both teams picked players in 2018 that they believe will be major components of their future (Deshields and Williams in Chicago, K Mitchell and Vivians in Indiana) so the 2019 draft will only add players to the process that was started this season. I'll take it any year they add it in, but I'd love a WNBA mode in Live 19! In one of the videos posted on YouTube of NBA live 19, the person who was playing showed the create a player menu. The create a female player was included in everything except The League mode. So I don’t see a WNBA franchise mode yet for the women if she is not included in the The League. I wish the NBA Live team had the resources the NBA 2K team has. I know EA Sports has plenty of money, but it gets poured into basically only Madden. Imagine how much better NBA Live would be right now with those resources. I'm not completely saying it would be miles better given other EA Sports games, but still. Gotta be better than what we've had, right? Every team has fans, and it makes sense that they'd want to use their favorite team in franchise mode. Plus a lot of people would likely have an NBA franchise and a WNBA franchise for a good change of pace. I know I likely would as I am a huge fan of both. I just can't wrap my head around why you would limit the possibilities of appealing to more people. It doesn’t make since to not include the women in The League, but include them in a franchise. That’s backwards. I agree. It would be ideal to have both. However, the lack of incorporating the WNBA into The One mode could have been lack of time to build a separate story line and progression system for your female player in the much shorter WNBA season. This doesn't necessarily mean that they couldn't have made a separate WNBA franchise mode independent of The One mode that's pretty basic like the NBA franchise in live 18.